Hey there errrrybody! 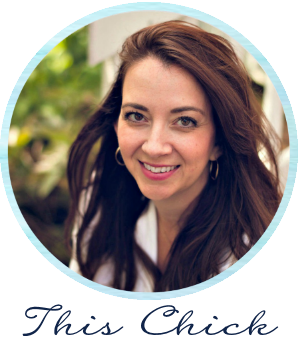 I'm sharing the culprit of my pinched nerve in my neck today -- and I think you'll see how it happened. 😬 Thankfully I'm healing slow but sure -- almost 100 percent! This isn't a huge before and after but it's one of those little things that has bothered me since we moved in. I did this in our old house and never showed you the tutorial for it! 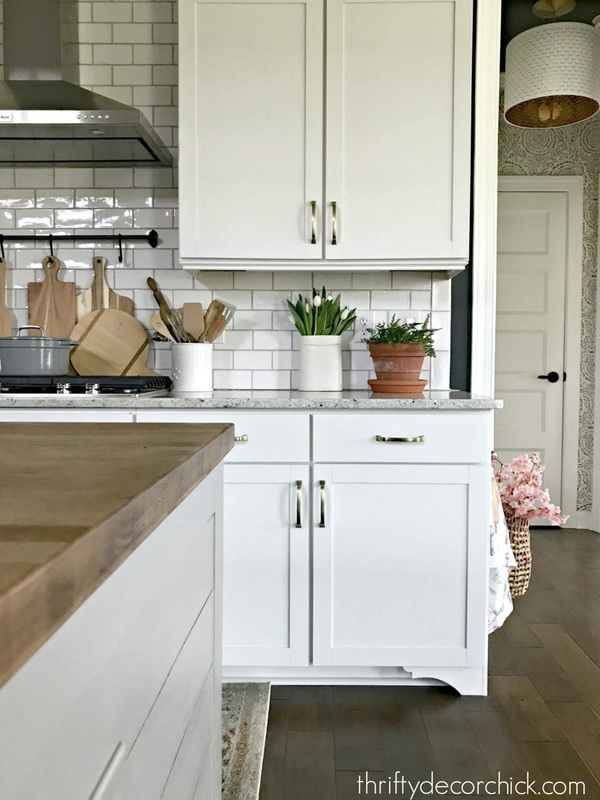 I'll share more about that in a minute, but first, let's talk about the cabinet lighting! 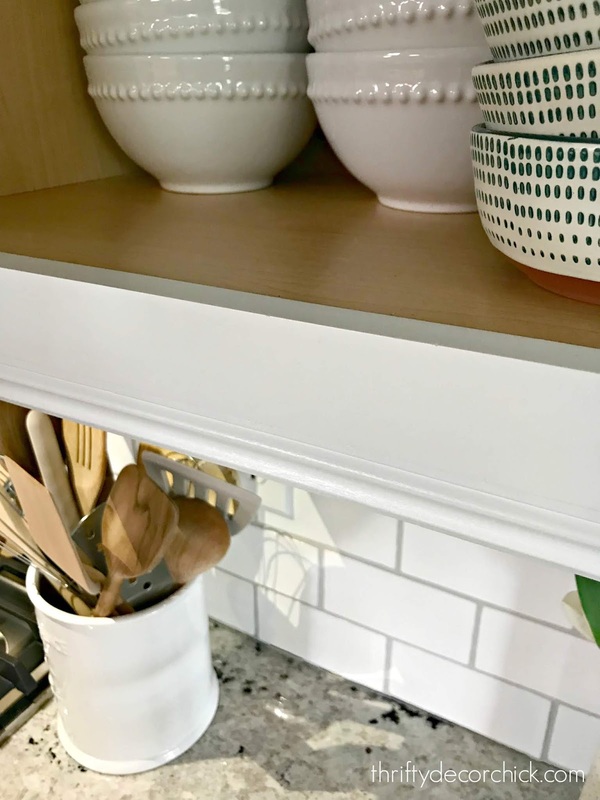 I've shared how to add this detail to your kitchen a couple times over the years and I highly recommend it as a way to add a custom touch to your cabinets. It's like landscape lighting for me -- it brings the whole space to a whole other level! 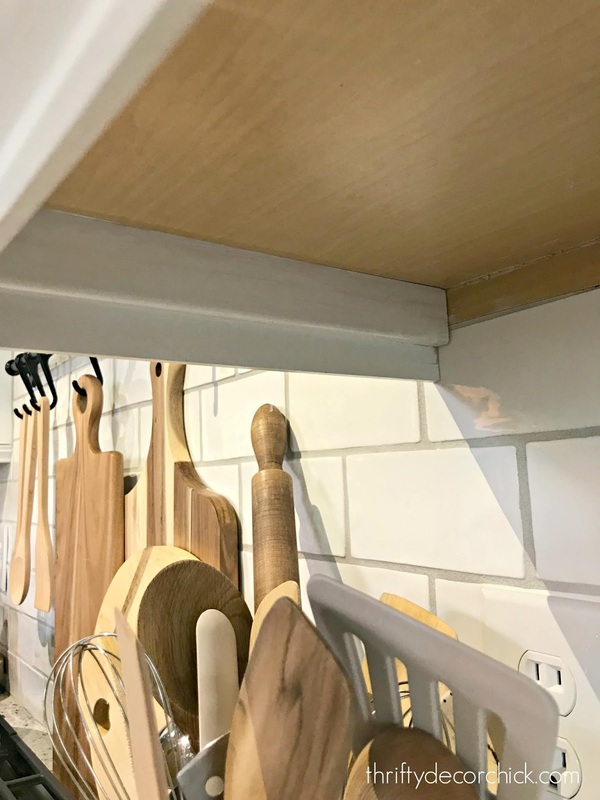 A loooong time ago I shared how to add the under cabinet lighting when you don't have them hardwired. I used the outlets for our fridge and our mounted microwave to make that work. 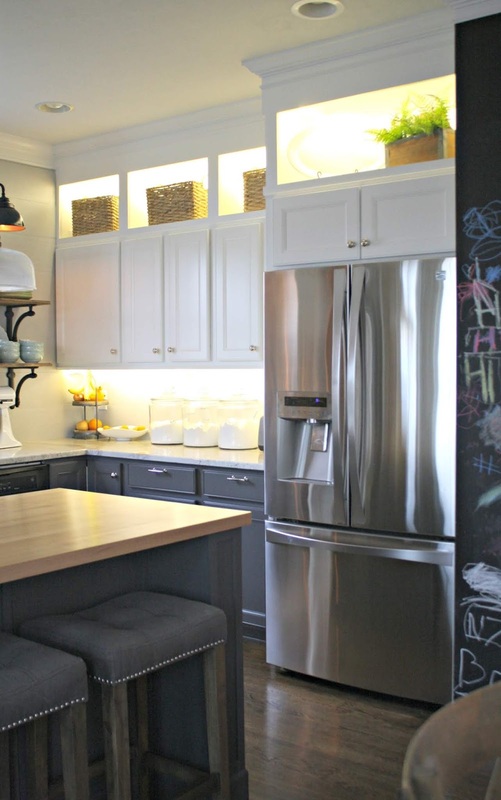 But if you have a dedicated outlet for the lights, this cabinet lighting tutorial is the one for you. When I remodeled our last kitchen, I had an outlet added up above the cabinets with a switch. That way is even easier because you buy everything you need online (see link for a full list). It worked GREAT! Back to the DIY project I just finished up -- I didn't want to see the lighting under the cabinets so I added my own light rail. 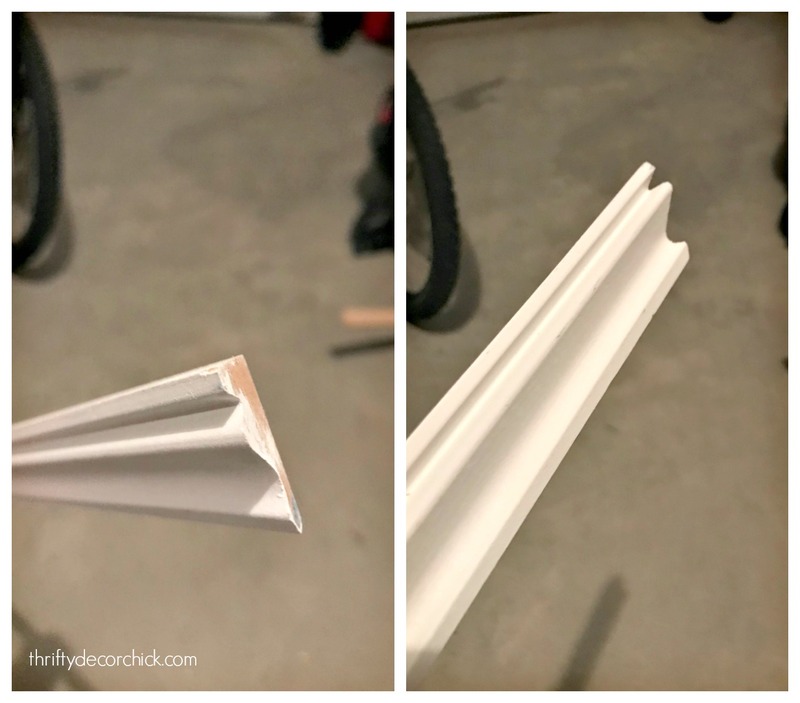 Light rails are molding that are installed under the cabinets to help hide the lighting under the cabinets. 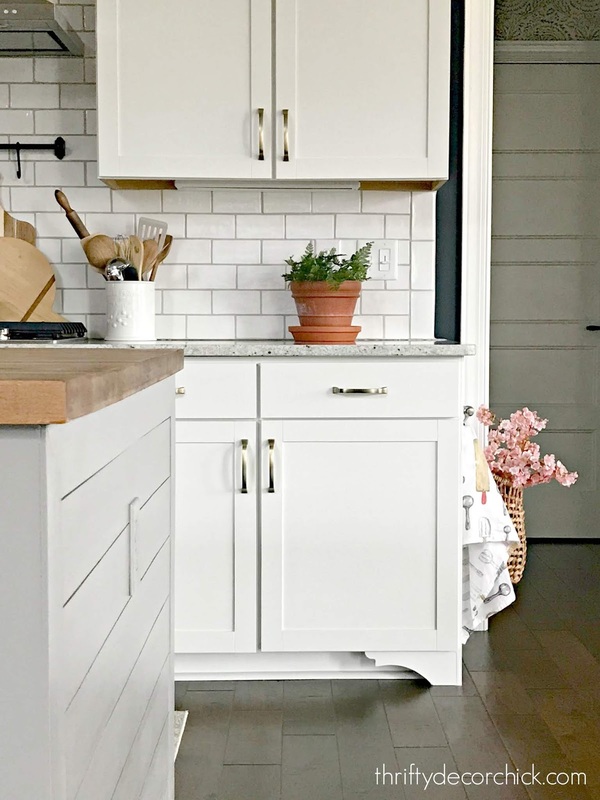 See how you can see the lighting under our cabinets? Like I said, it's not a big deal. But it's just one of those little things that bothers me. When we sat at the table we could easily see the lighting underneath. So I got to it and added my own light rails yet again! I should mention I had these priced out from the cabinet company our builder used and about choked -- they were not cheap! I had to get under the cabinet to nail from underneath through the side. (I didn't want the nail holes to show from the outside.) Now the pinched nerve in my neck starts to make sense, right? Have you ever noticed light rails or heard of them before? This small detail just hides everything a little better. I had to buy the two trim decorative pieces for this project and the flat ones I used as the base, so I think the total cost was around $30. Normally I'm all for more lighting, but the cabinet looks so much better without the extra light! Great DIY! Yeah, that would bug the heck out of me too!! This is eye-opening! My new kitchen cabinets have "molding" underneath them, which I thought was a nice touch, but have never seen before. 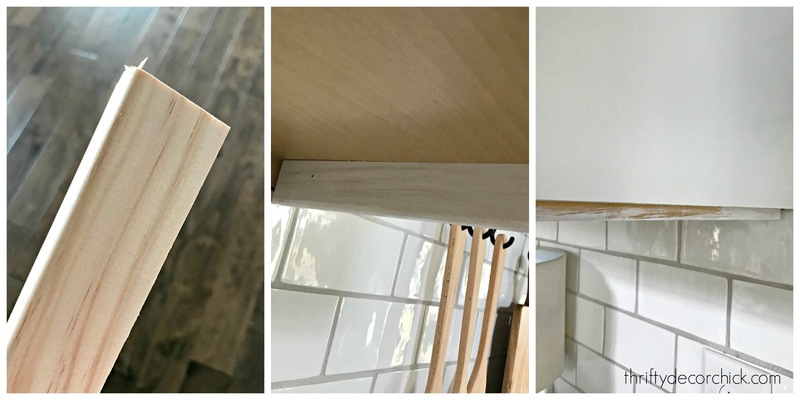 We don't have under cabinet lighting yet, and I'm thrilled to know that it has a purpose other than just being an extra finish---not that that's bad! I'm so happy you posted this. It has been bugging me for the last 5 years since we built our house. I keep commenting on it when we sit down to eat also. I've been googling and "pinteresting" for the answer and here you are just giving it to me. LOL I'm doing this when I get done painting the mudroom and laundry room. BTW, thanks for your tutorial on wallpaper. I have done tons of it in the 80s, and yours looked so nice, I did a wall in the laundry room that is sort of a hallway. It looks really great all thanks to you. Goes SOOO much easier on the neck if use a power nailer hooked up to a small pancake pressure air tank. Goes up so fast you don't have time to get a pain in the neck. Wowee, never thought of doing lights this way, great idea. I have outlets dedicated to lights but the lights were old fluorescent contraptions. 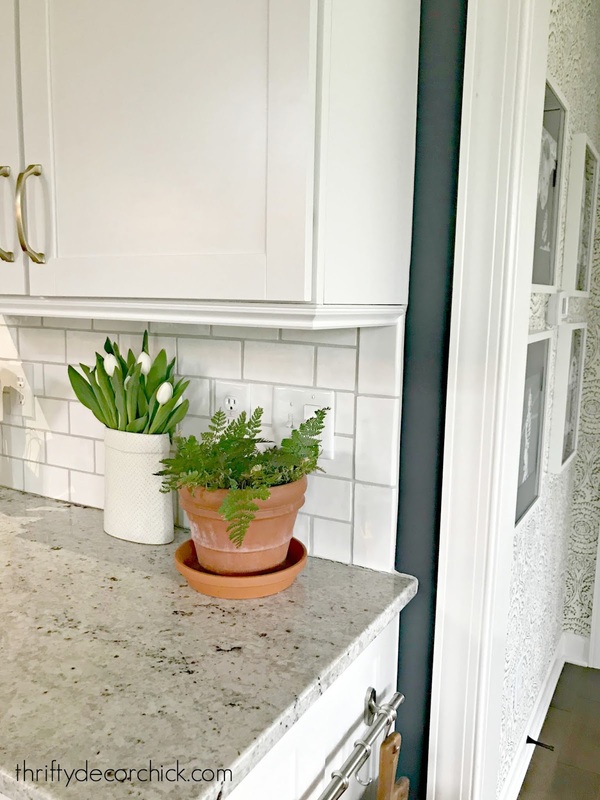 When I had a tile backsplash installed I just had those shutoff and now I want them back and a new backsplash. You have the best ideas, thank you!